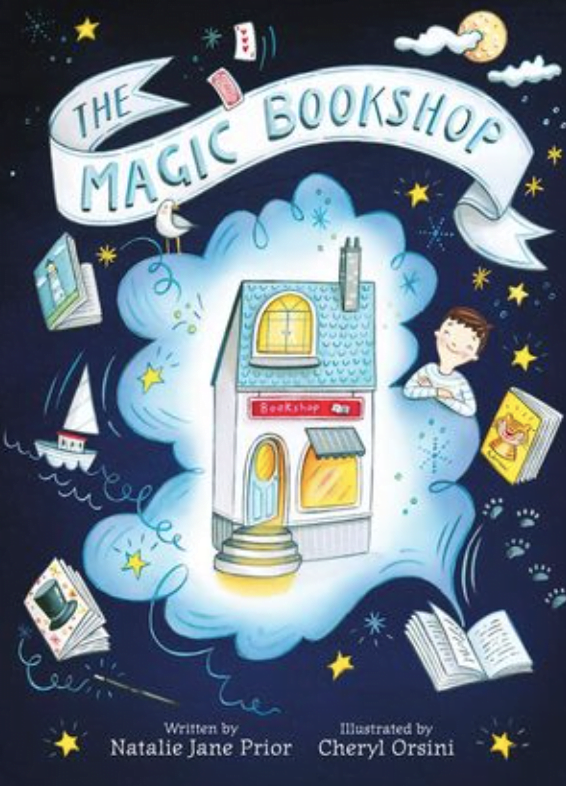 Do you remember visiting the Children’s Bookshop when you were a child? Children’s Bookshops can be a place of wonder and discovery for little readers and very nostalgic for parents. Story time is always a firm favourite so why not combine the two and read aloud from one of these beautiful books about the magic and adventures that are to be found in bookshops. On rainy afternoons, when it’s too wet to play outside after school, Ben goes to his grandfather’s bookshop. But with secret doors and passages, and tigers under the floorboards, there’s much more going on than Ben could ever have imagined. An enchanting new collection of fully illustrated stories from two much-loved Australian creators, and the perfect gift for any young booklover. A captivating, curl-up-on-the-sofa debut about the magic of books and the power of the imagination. 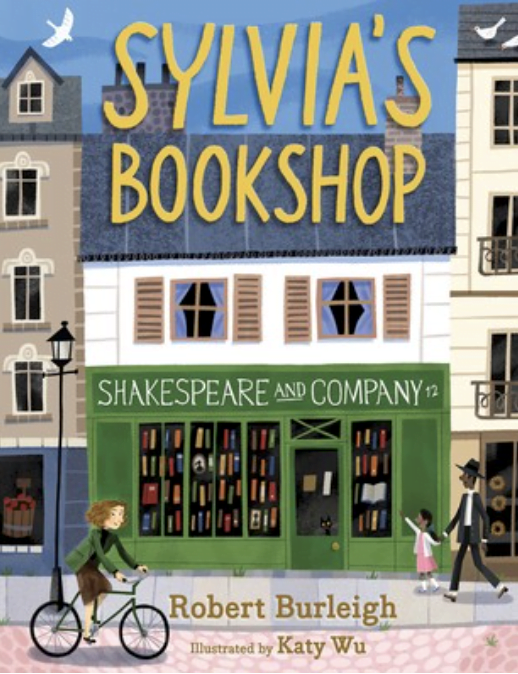 Since her mother’s disappearance, eleven-year-old Tilly has found comfort in stories at Pages & Co., her grandparents’ bookshop. But when her favourite characters, Anne of Green Gables and Alice from Wonderland, appear in the shop, Tilly’s adventures become very real. 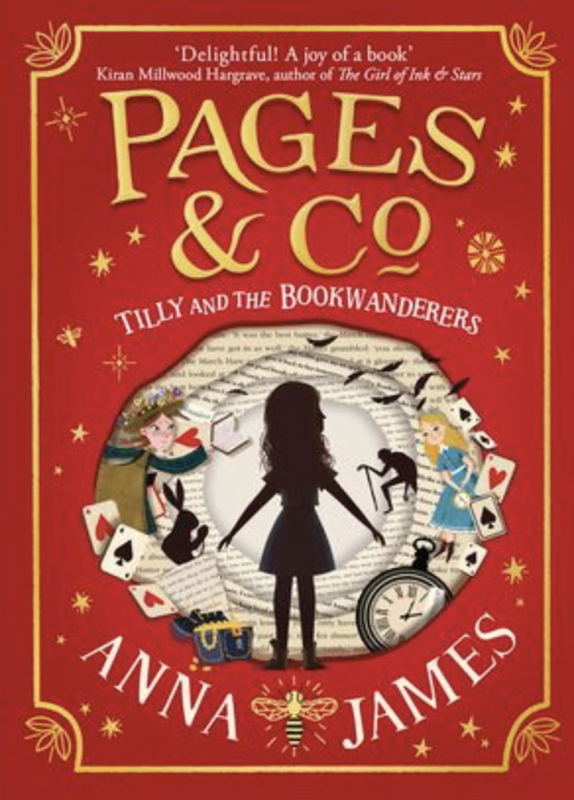 Not only can she follow Anne and Alice into their thrilling worlds, she discovers she can bookwander into any story she chooses. Franklin the dragon loves stories and loves reading stories to people too, but everyone is too scared to even talk to him. One day, he meets a girl named Luna who, rather than being afraid, is fascinated to meet Franklin, having recently read all about dragons in one of her books. They instantly become friends and talk nonstop about what they’ve read: books about roller-skating, King Arthur, spiders, and how to do kung fu. Together they hatch a plan to share their love of books with others by opening a bookshop—a flying bookshop, that is—right on Franklin’s back! Franklin, a well-read and peace-loving dragon, and Luna, a young girl with an independent spirit and an insatiable love of reading, make fantastic role models for young children. 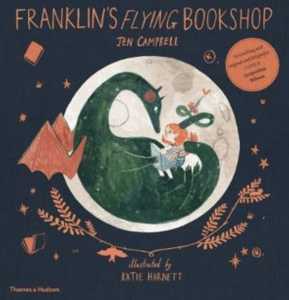 Franklin’s Flying Bookshop brings the magic of classic fairy tales into the twenty-first century through exquisite illustrations and will enchant children as well as anyone who loves books. When my children were young we regularly visited the Narnia Bookshop (in Tamworth NSW). Having grown up with the Narnoa books they thought we were visiting Narnia and totally loved it. Definitely magical. Sadly it is no longer here…though we still love bookshops.